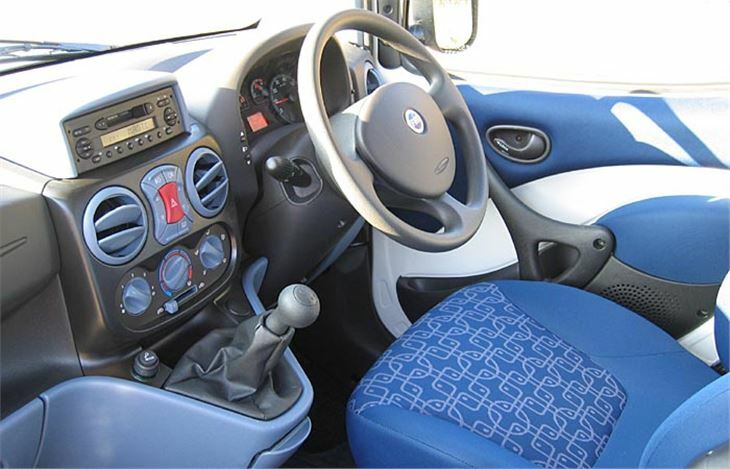 Peculiar looking contraption, the Doblo. Deliberately styled to look utilitarian, almost like a pastiche of a 1930’s hotel bus. The kind of car you could bump in a carpark with an even chance of it ending up looking better. So no worries about the odd scratch, then. 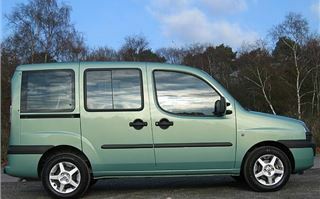 And the big advantage of the ‘Family’ versions tested here is that they’re the cheapest 7-seaters you can buy (in the UK, at least). The back seats are held in place by big locks at the tops, so there’s no fiddling around at floor level to try to fold them. The centre outside pair are the neatest folding for rear seat access that I’ve ever folded. The side doors slide, like a Berlingo’s. 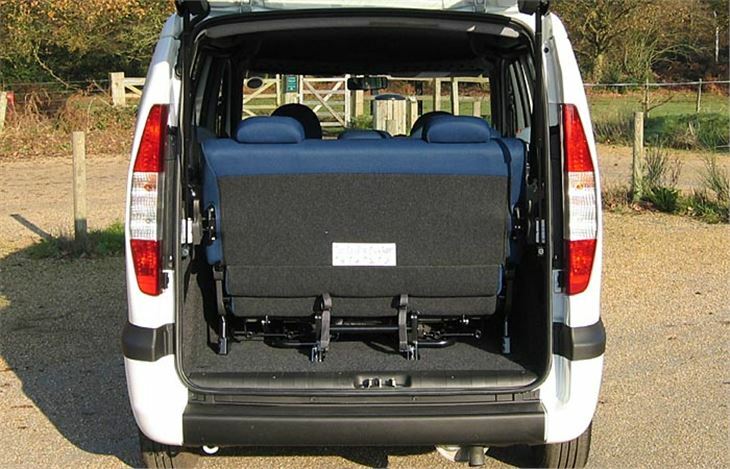 Unlike some bigger MPVs, there’s bags of headroom for everyone to wear hats. 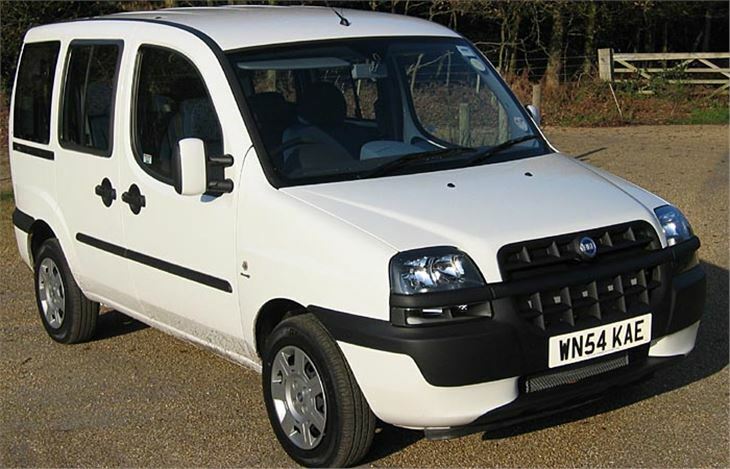 And, if that isn’t enough, FIAT even does a raised roof version for an extra £705. 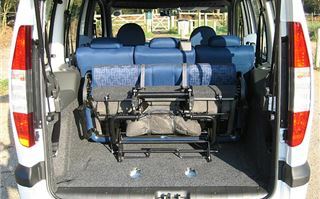 The rearmost seat is a bit of a clunky old thing and doesn’t fold out of the way to leave bags of room for bags. 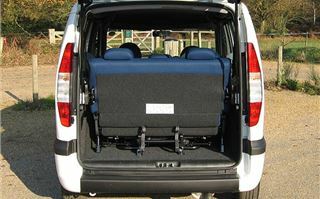 If you want serious space in the back you have to get some help and lift it out completely. But at least all of the seats are proper seats. Not the world’s most comfortable in which to travel any distance. But real seats with real head and legroom for seven. You can now get the Doblo Family with a 105PS version of FIAT’s venerable 1.9 litre JTD diesel engine, and that’s the version I drove first. 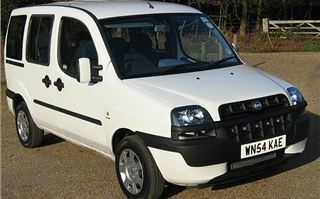 Disconcertingly, it didn’t drive or handle anything like as well as I remember a 1.2 petrol engined Doblo a few years ago. The steering seemed over-light. The centre of gravity felt too high one-up. And it really didn’t want to be hustled. I don’t know what it would be like seven-up with a top box of luggage on top. The extra weight might stabilise it. But on the other hand, it might not. 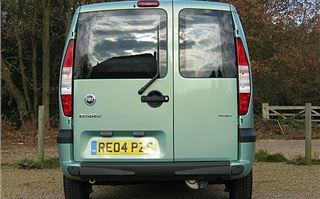 On, then, to the original version of the Doblo Family, fitted with FIAT’s useful little 70PS 1.3 litre Multijet diesel, now adopted by Vauxhall for the Corsa and even the Tigra. Within a few hundred metres it was easy to see why. 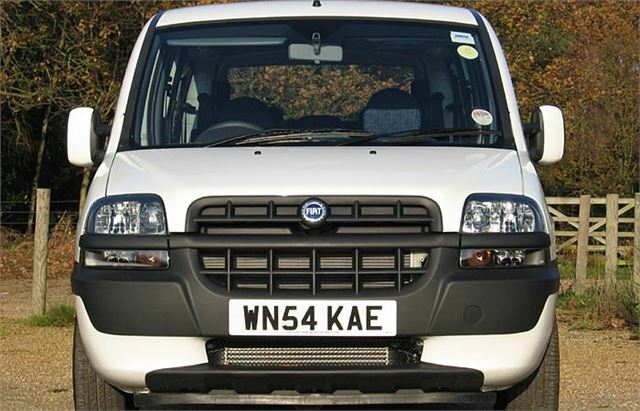 This Doblo has real character and is great fun to hustle along. It turns flatter, the engine revs sweetly all the way to 5,000rpm, even the steering has more feel. But, of course, I was driving one-up. Quite what it would be like with a family of junk food lovers on board is another matter entirely. 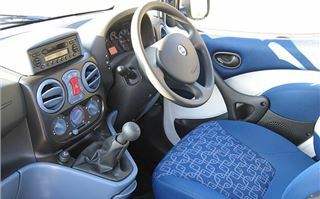 Doblo Family 1.3 Multijets list at just £10,595 on the road. 1.9 diesels are a very reasonable £11,195. 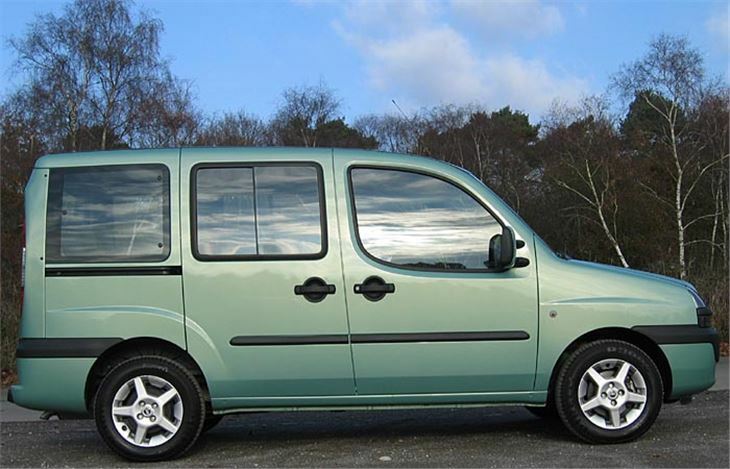 While, if you don’t need 7 seats, a 5-seater 1.3 Multijet is just £9,785.